Makeup is the daily routine of many women. They might feel weak and less confident without makeups. The fear of how they would look without makeup would make them go creepy at times. But how long can the beautiful skin be masked with artificial colors? Here are some tips for you girls to look fresh without any makeup on. This article might sound odd and even creepy for most girls. 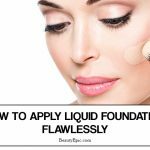 But, believe me you will look gorgeous if you follow these tips. After you try these tips, you will look beautiful and you could feel the change for yourself. Following these tips might be time consuming, but the end result that you get is admirable. After you wake up in the morning drink a cup of hot water with fresh lemon before you get ready to do any task. This action will soothe your throat and then wakesup the sensory organs. This drink also helps in purifying the body from the inside out by eliminating the toxins. The drink also reduces skin irritation if any. In addition, water has the ability to hydrate the body and keep the skin supple. You can stun others with a moistglow which gives the same effect of a makeover. Wash your Face Twice Daily: This is an important thing to consider if you wish to look good without makeup. Find a better facial wash that would suit your skin type and use it twice a day – in the morning and night. Over-washing can make the skin irritable. Put on Moisturizer Daily: After you wash your face, apply a facial moisturizer to it. Choose a moisturizer of very good quality and the one that suits your skin type. If your skin is prone to pimples choose the one that is light and oil free. Scrub Once a Week: This removes the dead skin cells from the skin’s surface and leaves your skin fresh and healthy. Take a clean cloth, soak it in warm water and rub the cloth gently on you face in circular motions. Never use a hard exfoliator, because this will dry out the skin and make it feel irritated. 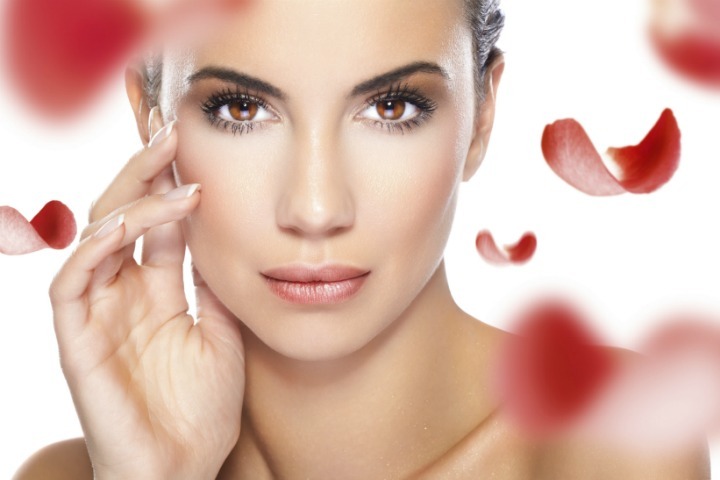 Tone Your Skin: Toners can do wonders on your skin. It has the ability to restore the skin’s natural pH balance and provide with other skin care benefits too. Choose the one that is alcohol free and that will suit your skin type. Remove Makeup: Please make sure that you clear the makeup from your skin before bed. If makeup is not removed, it will block the pores on the skin and lead to a skin with pimples. Pimples are one of the reasons that women are scared to go without any makeup. If pimples are treated, it will boost the confidence and help to go makeup free. 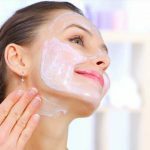 For this purpose, a clear skin care strategy should be followed to remove the excess bacteria from the skin’s surface and to avoid skin pores. You can hangover for creams with benzoyl peroxide or salicylic acid for this process. 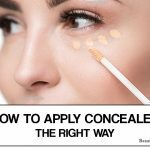 Try to use any product with SPF 30 or higher. This should be put on every day, even when the climate is cold or hot. Since, this will protect the skin from the dangerous UVA/UVB rays. Touching your face without any purpose will loosen your skin and cause wrinkles. If you pick at spots, rub your forehead or rest your chin on the hand, it will lead to adding up of bacteria on the skin and make it greasy. Have ample rest of at least 8 hours per night. Sleep provides the skin with a chance to repair itself. Drink one and half liters of water every day, as it will hydrate the skin and purify it from inside out and flush the toxins out. Shape your eyebrows: Ensure that your eyebrows are tidy without stray hairs and frames your eyes. An eyebrow, which is manicured, will be very striking and highlight the features of your face without the need for any makeup. A beautician can help you with the perfect eyebrow shape or you can use tweezers at home. Shampoo every other day: It is necessary to wash your hair frequently to prevent the hair and skin from becoming greasy. Remember to use a shampoo and conditioner that best suits your hair, and trim your hair once in every 4 months to maintain it in good condition. Tie your hair before bedtime to prevent any dirt from hair getting onto your face. Curl the Eyelashes: Eyelash curler makes your lashes curled and the eyes to look wider. A coat of Vaseline applied over the lashes, will make it appear thick and dark. Lip Care: Exfoliate the lips by rubbing a wet toothbrush against it. Then use a Lip balm to hydrate the lips. It is advisable to use a lip balm with SPF in extreme weather conditions. Take care of Your Teeth: Brush your teeth twice a day, in circular motions. Focus on each tooth. Remember to brush the tooth at the back row too. Floss daily, as it will prevent cavities. Brush the tongue with a brush and rinse your mouth with a mouthwash in the end of the activity to prevent bad breath. A smile will brighten up your face and make your inner beauty to shine out. Smile is an impression of confidence. You could look good only if you wear a smile. Wear clothes that fit you and make you feel comfortable. Ensure that your hair is always clean and neat. Drink a lot of water to keep your system clean. Eat veggies and fruits with lot of Vitamin A, C and E, that is beneficial for the skin. True beauty shines from within you, so be confident and trust in you. Stand high with your shoulders back and your face your chin up. Smile often and make eye contact with people when you speak. Believe that makeup is only a tool and your natural beauty is far better than a mask. 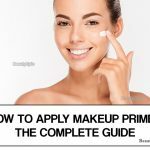 Here are some tips for you girls to look fresh without any makeup on. Thisarticle might sound odd and even creepy for most girls. 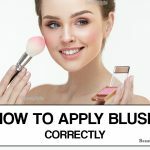 But, believe me you will look gorgeous if you follow these tips.